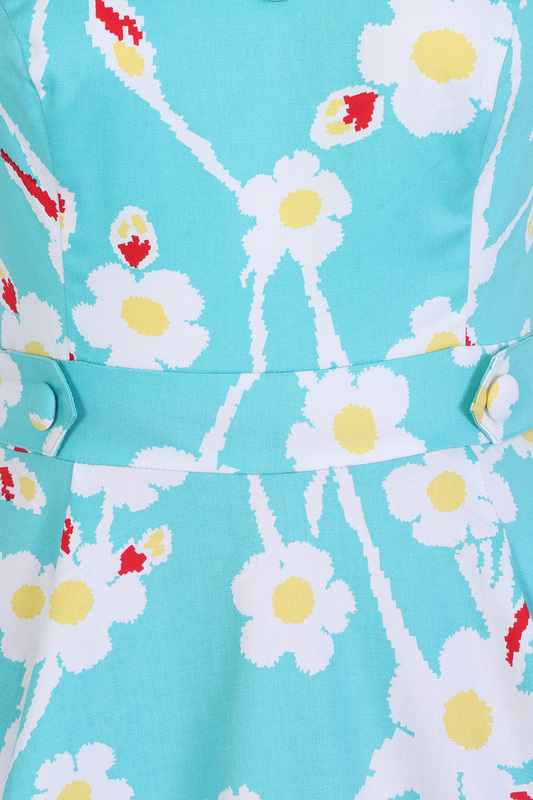 Our new Nancy floral swing dress will give you a skip in your step. 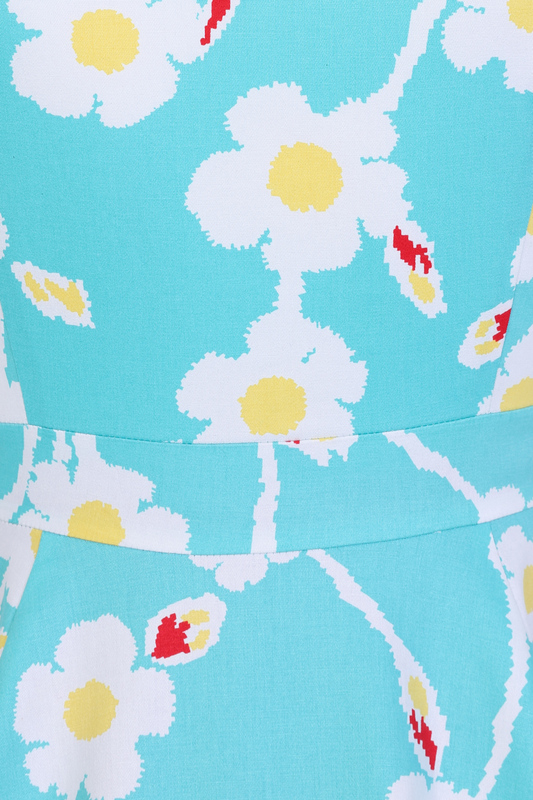 This youthful daisy print is perfect for those sunny summer days as the turquoise, yellow, white and red print gives life to this sweet design. 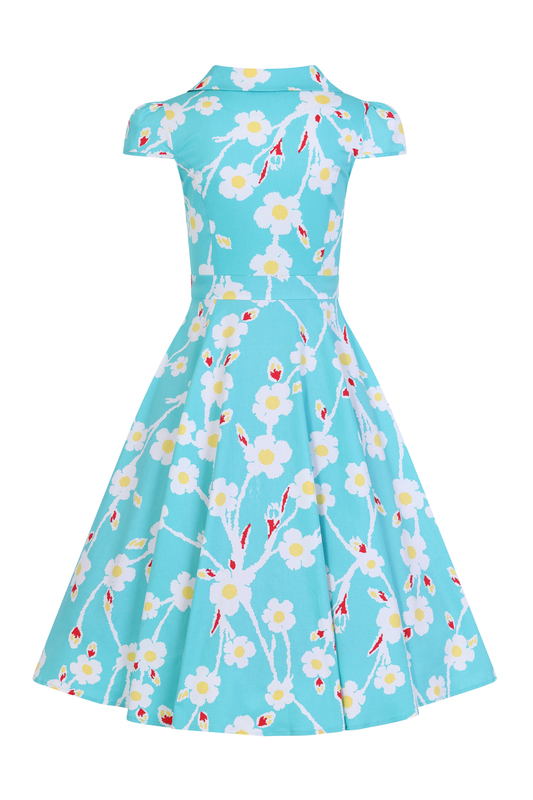 Featuring a flat collar neckline, cap sleeves and waistband, this style is a great wardrobe staple. 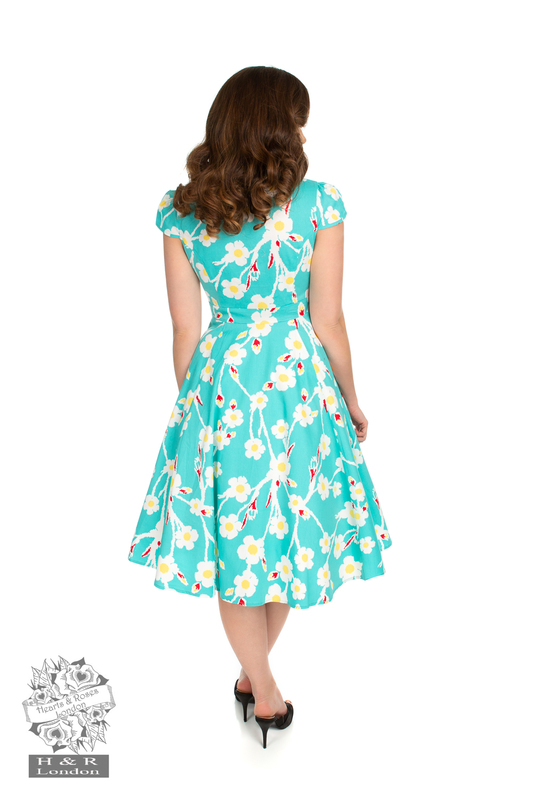 Put your dancing shoes on and get ready to boogie because this swing dress is ready to go! Shipping prices vary based on item size, weight, and quantity. The heavier your order is, the higher the shipping charge. 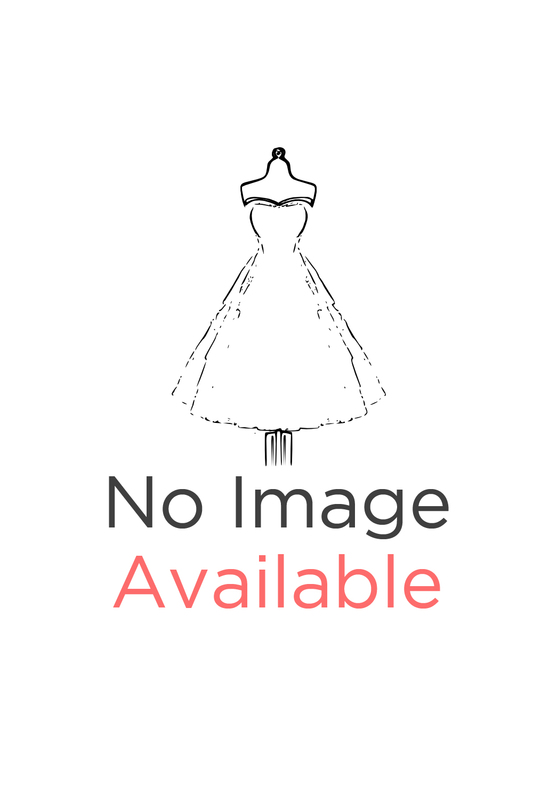 Hearts & Roses London offers free shipping on all UK orders above £50! Below £50, there is a shipping charge of £2.99 applicable.